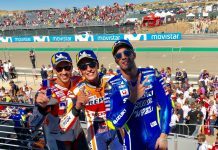 MotoGP aragon 2017 akan di gelar hari ini , Ahad 24 September 2017 pada Pukul 19.00 WIB , jangan sampai ketinggalan om,, lalu data faktanya mana? 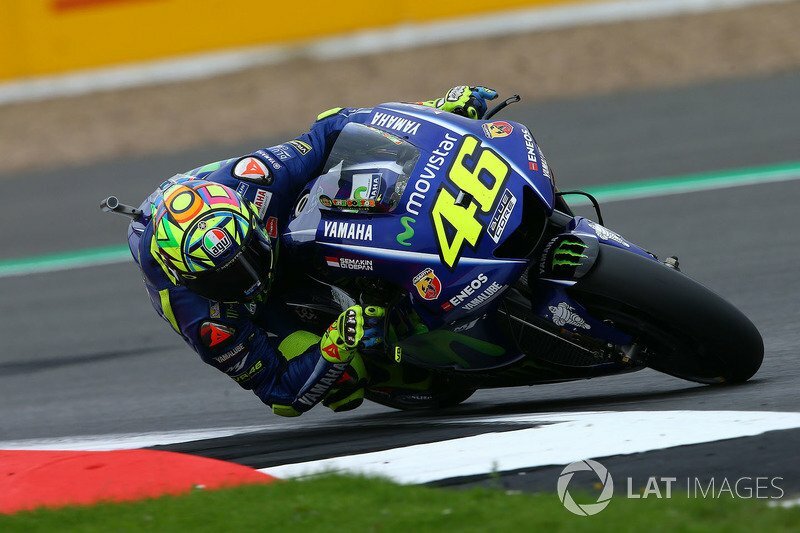 ok sudah jelas MotoGP Aragon akan tayang secara gratis dengan sponsor Yamaha Indoensia semakin di depan pada TV swasta Trans7 pada pukul 19.00 WIB, Thanks Yamaha ..
lintasan MotoGP Aragon dengan nama balap resminya adalah Gran Premio Movistar de Aragón akan di gelar di sirtkuit MotorLand Aragon Spain dengan panjang lintasan 5100 meter dengan 17 tikungan yakni 10 kekiri dan 7 ke kanan, lebar 15 meter dengan trek lurus sepanjang 968 meter, panjang..
rekor MotoGP Aragon sendiri seperti pada tabel atas, semuanya diraih tahun 2015 silam,, topspeed? 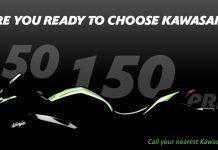 Ya Ducati ! 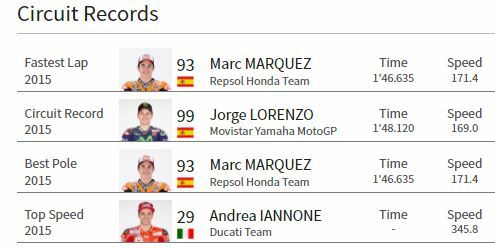 Hasil Kualifikasi MotoGP Aragon 2017 : Maverick Vinales Pole Position, Lorenzo 2, Rossi 3, Cruthlow 4, Marquez 5 . Panas ! 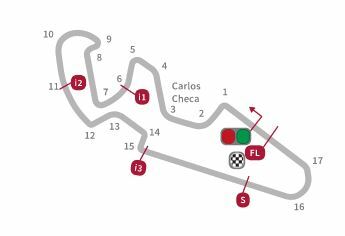 MotorLand Aragon first hosted a Grand Prix in 2010, becoming the sixth different circuit that has been used for GP racing in Spain, in addition to Jerez, Catalunya, Jarama, Montjuich and Valencia. 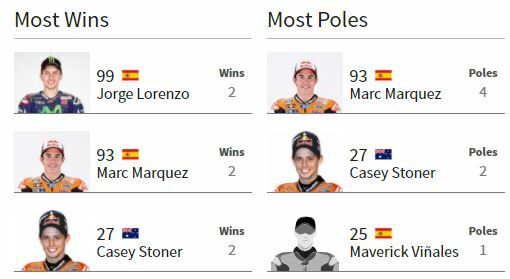 This is a country which is passionate about motorcycle racing, having produced some great champions down the years including Angel Nieto, Sito Pons, Alex Criville, Dani Pedrosa, Jorge Lorenzo and Marc Marquez. 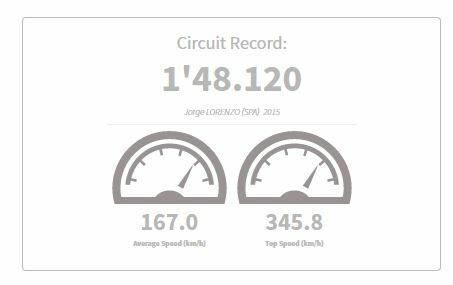 A state-of-the-art venue, the MotorLand Aragon road racing circuit was opened in 2009, to continue the rich local heritage of racing which had seen years of exciting street races in nearby Alcañiz, a town that hosted racing events between 1963 and 2003. An ultra-modern facility, MotorLand Aragón had its roots firmly established thanks to a solid history of street racing in Alcañiz, which hosted events between 1963 and 2003. Safety advice warning against the continuation of this led to the proposal and construction of a sporting complex dedicated to motorsport. With support from local institutions, renowned German architect Hermann Tilke was commissioned to design the facility. 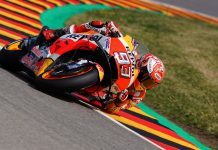 The circuit, which is 5.077km long and has 17 turns, was roundly praised by riders after its first Grand Prix in 2010, and it was rewarded with the IRTA Best Grand Prix of the Year award, the first time a circuit had received the prize in its debut year. 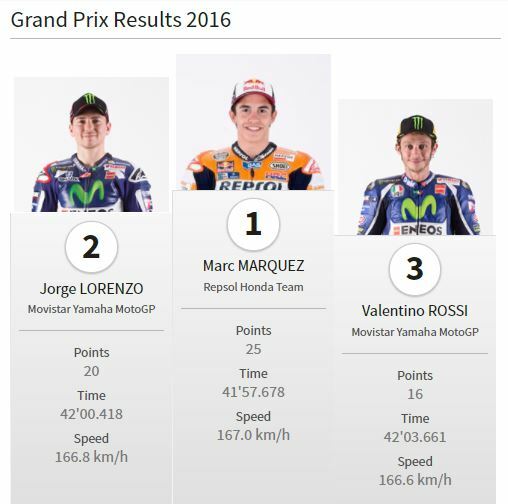 Entah kenapa feeling berkata nanti pabrikan Ducati akan naik podium, soalnya motor Ducati sebetulnya kualitasnya juga bagus..